Create a customized SOCXO Content Source to help power your employee advocacy program. 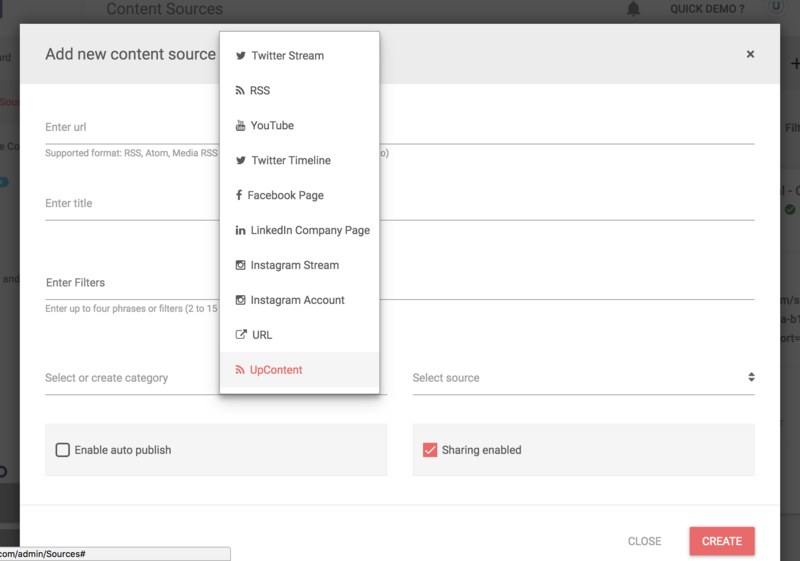 From within the SOCXO Admin Dashboard, click "Content Sources" from the left-hand menu. Click "+ New Source" on the top right of the screen. In the drop-down next to "Add New Content Source", select "UpContent". The resulting window UpContent Query Builder allows you to name your UpContent Content Source. 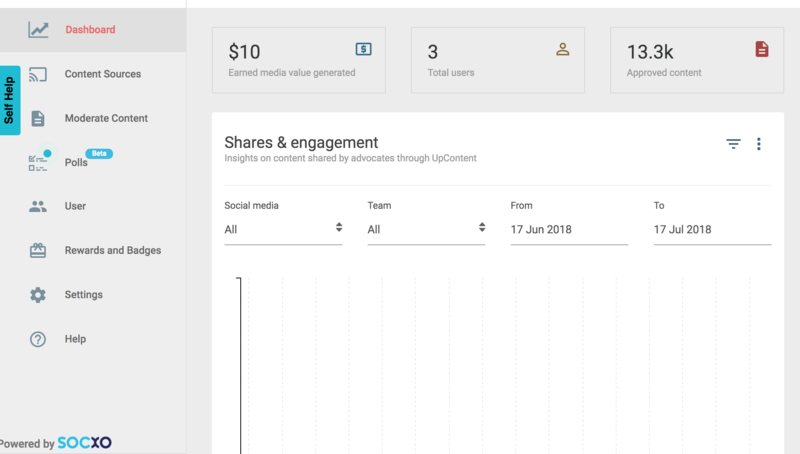 Enter the appropriate criteria in each of the three provided lines, and associate the Content Source with a SOCXO category and select the appropriate source in which you'd like it categorized. Learn more about how to create an optimal UpContent topic here.